Get ready to build your dream home! 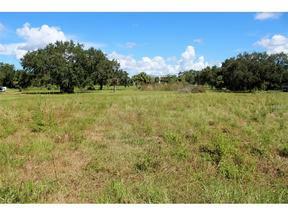 Nearly 5 acres of cleared land ready for you to build or subdivide into smaller lots. Great location…enjoy country living with all the conveniences of city life. Close to I-275 makes for an easy commute to Tampa and St. Pete. Boaters will love the easy access to Terra Ceia Bay and Manatee River. Golfers will love being less than a mile from the Terra Ceia Bay Country Club. NO HOA and NO CDD means NO Deed Restrictions…bring you boat, RV and all your other toys! Got horses? No problem, this property is zoned to permit horses too. Plus, this is county property so you won’t be paying city taxes! Call today to schedule a showing and start building your dream!